Contaminants from gases and air are adsorbed by activated carbon. 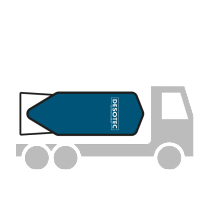 In order to improve its affinity for certain components even more, the activated carbon can be impregnated with chemicals. Waste water and process liquids can contain a wide range of organic and inorganic pollutants. Activated carbon adsorbs these pollutants from the waste water and liquids, acting as the optimum purification solution. DESOTEC has determined five strategically chosen application fields. Within these application fields, we find together with our customer an appropriate purification solution for every problem. The emission control of organic or inorganic components is becoming an ever greater challenge in today’s industrialized world. It can involve components causing a pungent odour, or exceeding the VOC emission directive of the manufacturer’s operating permit. The sources of these emissions and the diversity of their components are infinite, as are the areas of application. In order to convert biogas into electric power, reusable heat or biomethane (RNG, Renewable Natural Gas), the gas needs to be purified first. This will avoid gas engine problems and contemporarily may result into a gas quality superior to 99% CH4 , which renders the gas suitable for injection into the natural gas grid. Typical components for elimination are H2S and siloxanes from landfill gas for instance, or H2S and terpenes from fermentation gas. Soil and/or groundwater may be contaminated anywhere there is or has been industrial activity. It often involves historic contaminations, which date back to long before there was question of enforceable environmental legislation. These contaminated areas are purified step by step, making them suitable for reuse or change of use. This often requires complex remediation techniques. During a manufacturing process, we often require water. This water is contaminated during production: it becomes waste water which often cannot be discharged into the environment as such. In that case the produced waste water requires treatment before it can be discharged into a sewer or into the surface water, or be re-used. Otherwise it is also possible that a factory’s water supply needs treatment before the water can be used in the production process. Companies manufacture products. During the manufacturing process certain reactions may occur, possibly causing an undesired contamination of the end-product. On the other hand, some raw materials may fail to meet the requirements of the manufacturing process. Also malfunctions can occur during production, which may result in a batch of off-spec products . Moreover, certain products acquire increased sales value if they have a certain degree of purity, which can be achieved by a activated carbon. 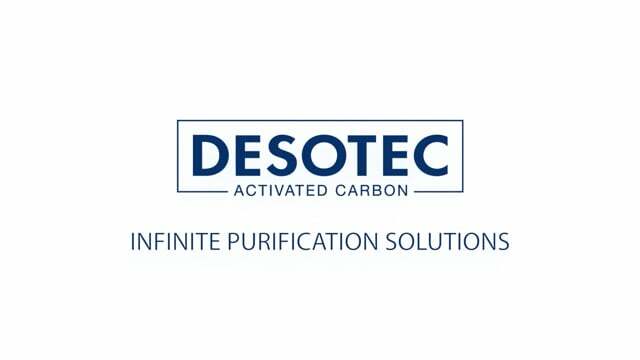 Thanks to a 24/7 service and a large stock of mobile filters and activated carbon, DESOTEC is able to install a treatment system ready for use at the customer’s site within 24 hours. The DESOTEC engineers define the exact challenge on site together with the customer’s process engineers. In the customer’s or the Desotec laboratory the challenge is simulated and a feasibility study executed. The best technical-economical solution is defined. 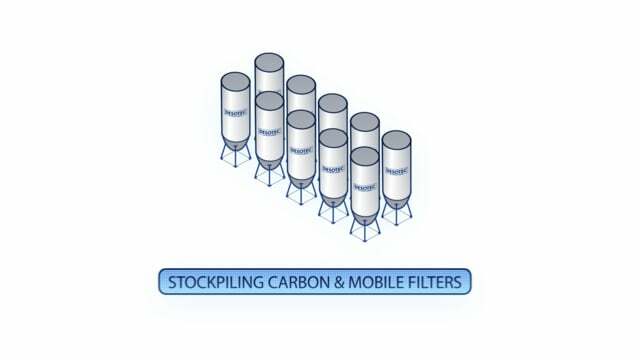 On that basis we select the type of activated carbon(s) to be put in use and the mobile filter configuration. The set-up on site is prepared together with the customer. Mobile filters are installed and filtration, thus purification, begins. When the activated carbon is spent, the complete filter is exchanged. The spent carbon is reactivated so it can be re-used in the customer’s processes. Subscribe to our newsletter and stay up to date on our latest trends!